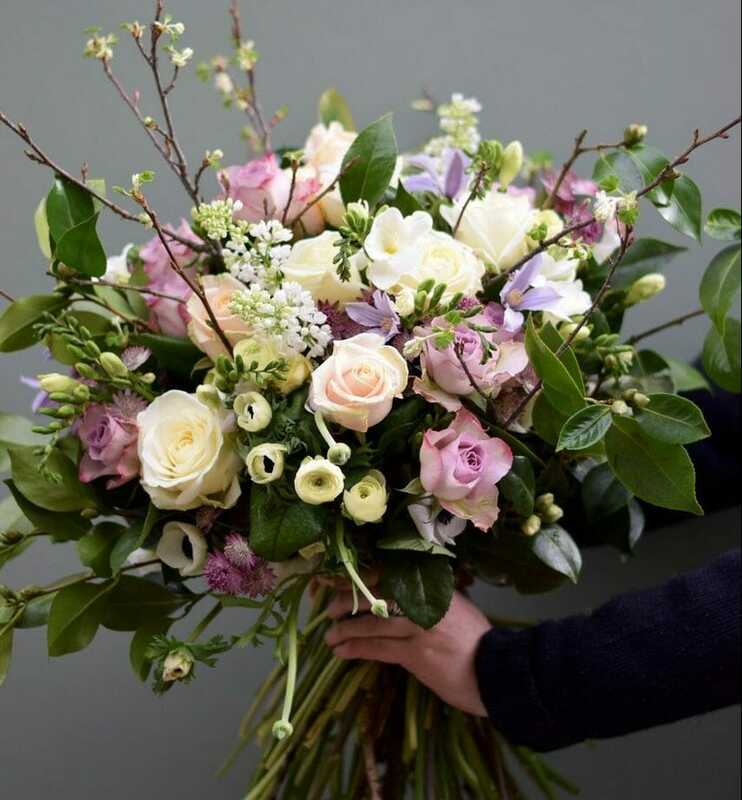 Order a bespoke bouquet of fresh seasonal flowers and a special box of Macarons delivered together to make a beautiful gift of celebration. Bouquets and macarons are each available in a choice of sizes so you can mix and match to your preference. 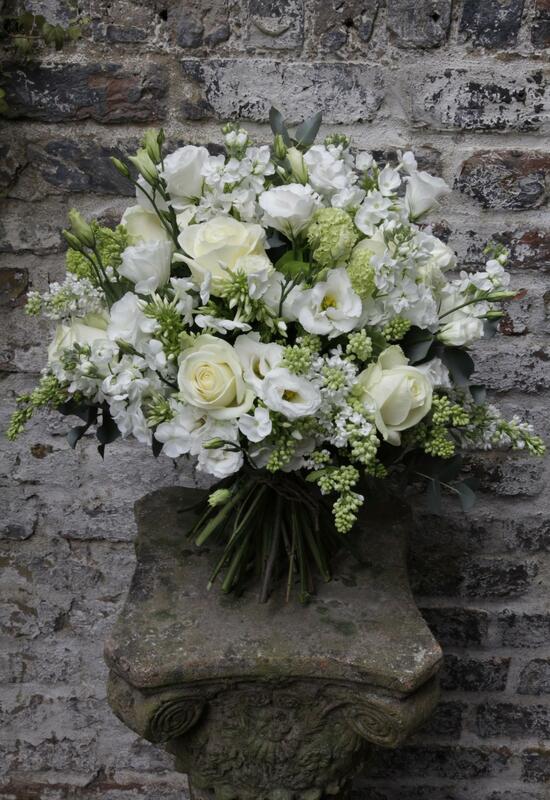 Bouquets are presented in all white wrapping with a hessian sash knot or bow. 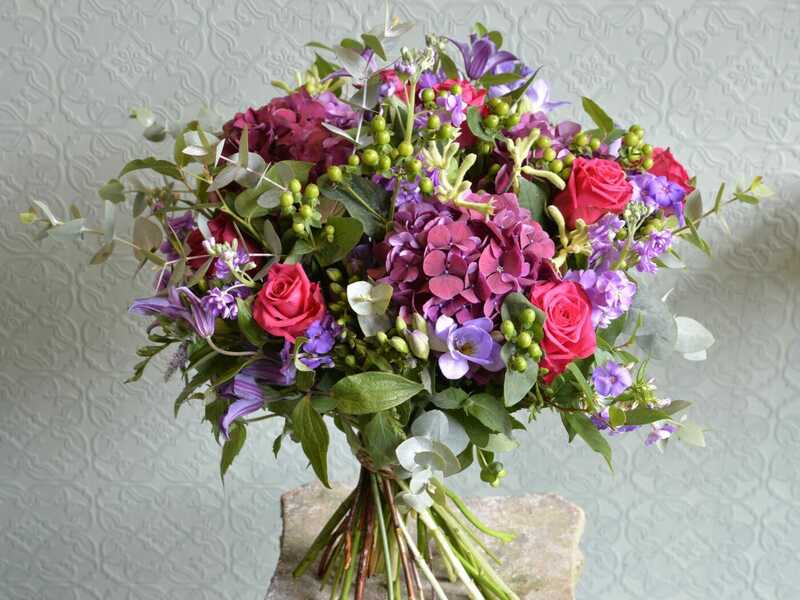 British grown flowers are used whenever possible. For boxes of 20 Macarons, please specify your 2nd choice of flavour in the notes section on order form, at checkout. Macarons will be presented in a plain white box with a myBaker logo sticker. Each box will have a list of ingredients. These products are made in a kitchen that handles nuts and other allergens. Please see our full ingredients lists and allergens details in tabs below. Order a bouquet of fresh seasonal flowers and a special box of Macarons delivered together to make a beautiful gift of celebration. Bouquets are presented in all white wrapping with a hessian sash knot or bow. Macaron Boxed Prices based on the following 2 box sizes. AVAILABLE FOR LONDON DELIVERY ONLY. *On receipt of the order, the recipient will be contacted prior to delivery date to confirm acceptance of delivery on preferred date – this is due to the perishable nature of the products to be delivered. Contains nuts, soya, dairy and eggs. May contain traces of gluten. All products are made in kitchens that handle nuts.